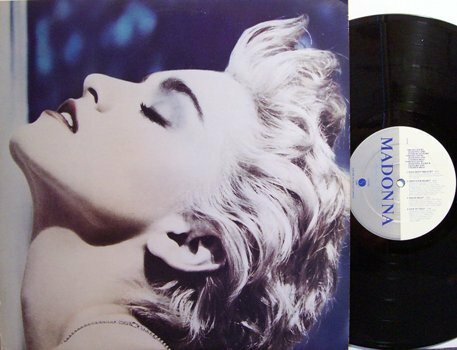 1986 album featuring PAPA DONT PREACH, OPEN YOUR HEART, LIVE TO TELL and more. Still has its original song lyric inner sleeve. COVER: EX - (EXCELLENT MINUS): Very nice condition. A small amount of surface wear, or a couple of small flaws like minor corner dings or very light creasing, but still top notch.